I am pleased to offer my clients a wide variety of construction, renovation, and design options. I love what I do and I am dedicated to working with clients to meet their needs and bring their ideas to life. I am also committed to quality in workmanship and pride myself in getting the job done quickly, efficiently, and to a high standard. Below are some recent projects that I have completed in the past year. For more pictures, please visit the Gallery page. This past summer I custom-designed and built a 200 foot fence for a client that was looking for a unique design that fit the property and the style of the house. This was a fun challenge, and I really enjoyed coming up with and building the final design. (Picture coming soon). Bathroom renovations can make a huge difference to the look and feel to any house. I was pleased with how this one came out, and particularly liked the addition of the subway tiles to give a clean and modern look. (Picture coming soon). When I was approached to do this basement renovation, it was clear that the clients wanted something that was clean, sleek, and timeless, and would be a warm and professional venue to become a photographic studio and gallery. Lighting was particularly important, so we created a variety of options through directional pot lights and strategic placement throughout the basement. A refinished deck can really change the look and feel of outdoor living space. This was a 650 square foot, nicely-built, deck that needed a good-quality finish to bring it back to its original vibrancy. I ordered the best stain I could find from the US, and the final outcome was a deck that looked like it was newly-built. (Picture coming soon). Garden sheds can be a nice addition to any property, and can be a highlight of a garden or outdoor living space. 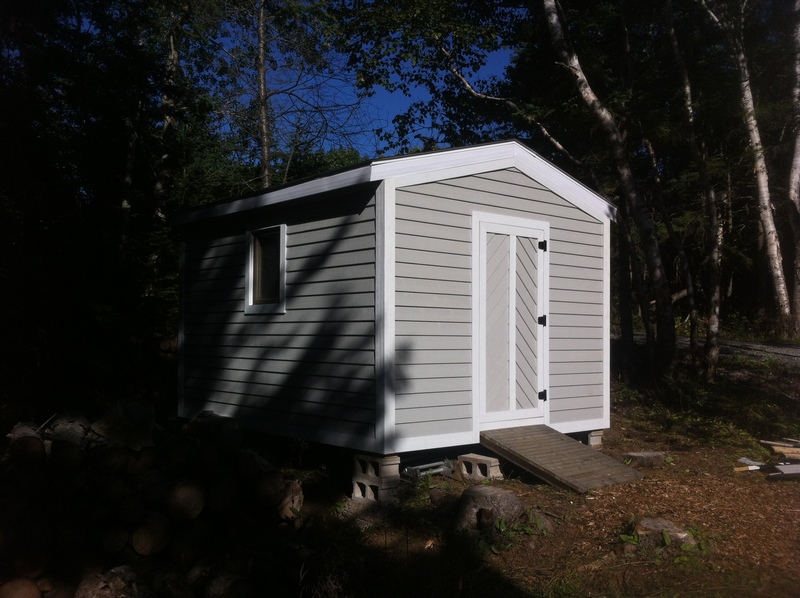 With some new siding and trim, this garden shed transformed. 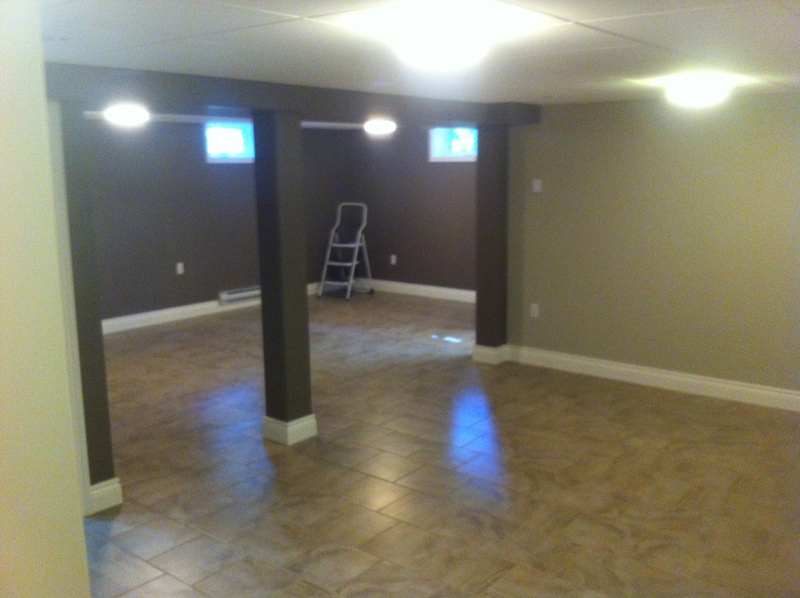 Check out the Work Gallery page for the before picture. This is a great looking shed and is a nice addition to this backyard. 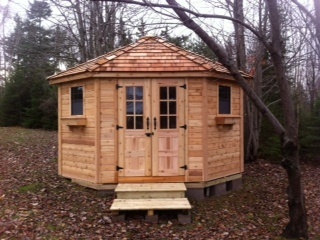 There are many different styles and types of sheds. While renovating old ones is a great option, sometimes new ones can be a nice addition too. This was a cedar kit brought in from British Columbia. It turned out beautifully, and has become an accent to the property, as well as a great place to store all outdoor gardening needs.